Two Super Scoopers arrived in Los Angeles County Saturday to help firefighters with this year’s fire season. 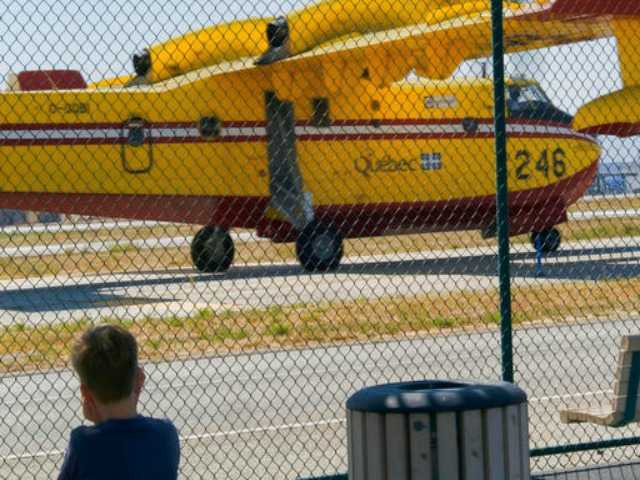 The Los Angeles County Board of Supervisors agreed earlier this week to approve a contract with Quebec to lease the two large water-dropping aircraft for another five years. The Super Scoopers arrived early for the second year in a row as fire season grows because of the strong Santa Ana winds in Southern California. The scoopers will be based at Van Nuys Airport and be operational starting Monday. They will be in Los Angeles for at least three months before being sent back to Quebec, though fire officials say it’s possible the leases could be extended. The county has been leasing the Super Scoopers since 1994.